Long exposures can create an expressive composition by altering the perception of elements in a scene, such as the sea and clouds in the photo above. A hand held shot would freeze the ocean and clouds as we see it in a moment of time. To create a more artistic image, I used a very long exposure that softly blurred the sea and clouds to convey the passage of time. Neutral density filters allow you to dramatically slow down exposure time, and also balances light in a composition. 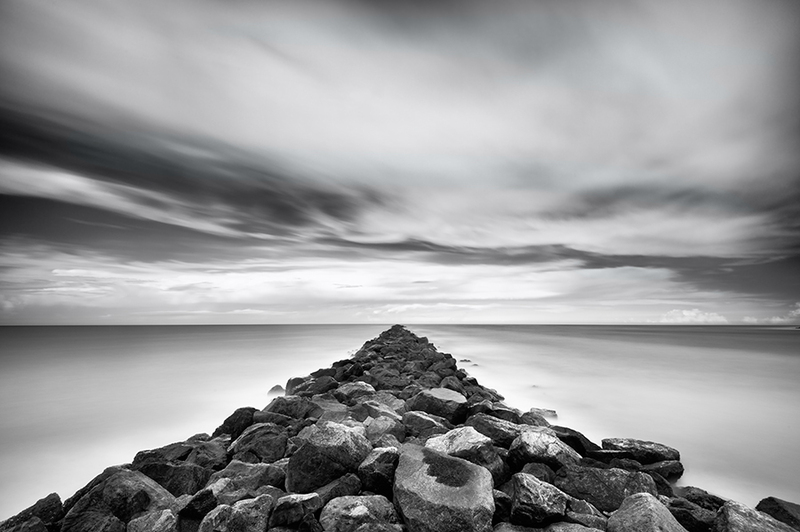 I used a 10 stop neutral density filter and reverse graduated filter to create the photo of the jetty above. Converting to black and white creates a classic fine art look, and is easily accomplished in post processing. I'll cover more about the technique of long exposure photography and neutral density filters in an upcoming post. To record long exposures, you'll need a tripod, cable release, and neutral density filters. My favorites are a reverse graduated neutral density filter which holds back light in the sky, and a 10 stop ND filter. The tripod shown above, is a Feisol 3442 which is made of carbon fiber. I carry this everywhere as it only weighs 2.31 pounds, and folds down to 19 inches. This super sturdy tripod traveled with me to seven countries in the last year, and two more coming up soon. That awesome green bag is my F-stop Shibata camera bag, which is perfect for stowing filters, lenses, and everything needed for a day at the beach. 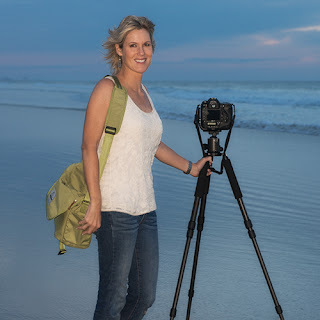 I hope you can join me for one of my online courses courses starting Wednesday, August 8th at BetterPhoto.com. I'll cover creative post processing and more, along with infrared photography. Have fun shooting, and get artistic with your photos. Hope to see you in class!